Friday the 25th saw the Hyper Japan show return to London's Earls Court , the three day event this year taking over the main hall at Earls Court one. So early afternoon we set out to start our insight into the three day show, With some great acts appearing over the three days and the inclusion of a dedicated Fringe and Kawaii stage as well as the Main stage and Martial arts area we new it was going to be tricky getting everything in..
Not forgetting the dealer stalls ,selling everything from traditional clothing,music,Cosplay wigs,Plushies and even swords. 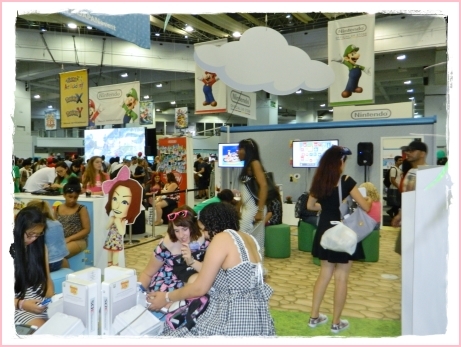 To top that major sponsors like Nintendo and Bandai Namco taking over a large portion of the hall showcasing the latest video games on Wii U ,3DS and PS3 .. 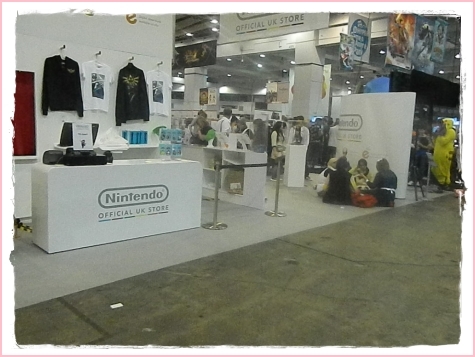 In fact Nintendo's stand was like a mini event in it self, with the Nintendo UK online shop on hand with some exclusive clothing ,bags and collectables for sale. A showcase of Wii U games ,featuring many that where shown at E3 and equally the same again on 3DS . Games playable where Hyrule Warriors,Captain Toad,Bayonetta 2,Sonic Boom (Wii U and 3DS versions) ,Tomodochi Life ,and the game causing the longest queues , Smash Brothers on 3DS. Add to this a Mario Kart 8 competition zone and you have a Nintendo showcase that fans of the video games manufacturer will be clambering to get some time on the new games coming this holiday season. 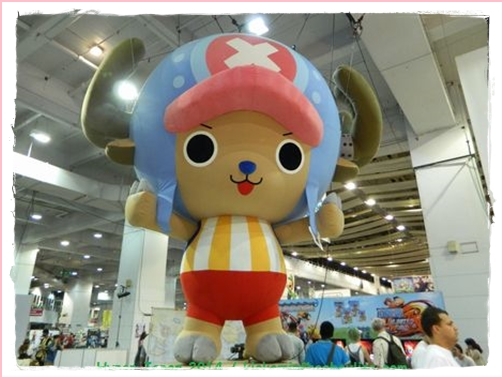 Bandai Namco seemed to pale in comparison, showing of the latest ''One Piece Red '' game on PS3 ( it was also playable on Wii U and 3DS on the Nintendo stand) , Pacman Ghostly Adventures 2,Tales of Xilla. 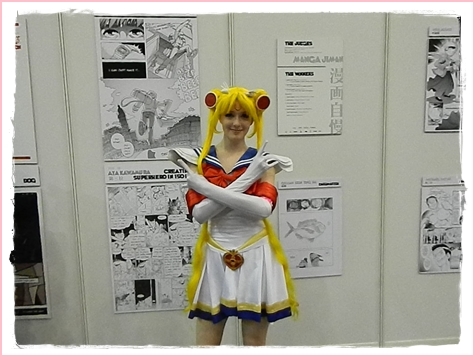 Cosplay is also a big part of Hyper Japan ,Japanese pop culture and the last few years has become pretty mainstream with anyone interested in Anime,video games ,comics or film being a fan of the past time or even giving it a go themselves. 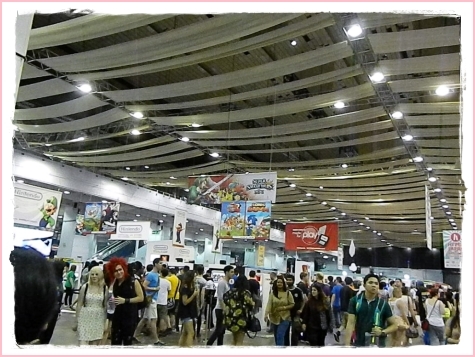 Of course many never get to the heights of entering the big competitions world wide or becoming a licensed cosplayer. To either a video game company or film company. Even Serena Tsukino from Sailor Moon turned up in her Halloween costume! But one thing you do get at Hyper Japan are visitors turning up dressed as their favourite characters , though there where not to many on Friday ,there where a few . Main attractions for Friday where the appearance of The Masked Ninja Hiroki , a Nunchuku expert who wields his nunchuku with precision in a impressive show of Ninja skills involving Sword, Nunchuku,Double Nunchuku and even classic ninja weapon double sickle blades bound by a chain , which Hiroki spins around his body like he's walking in the park. Hiroki also ran a daily Ninja exercise workshop ,teaching anyone willing to step on the mat how to practise his skills using little more then a towel.. I think the participants (left ) think ,what have we let ourselves in for ? The Martial arts stage also played host to other Martial arts on Friday as well , with a Karate demo by one local Karate school. Where be doing a dedicated Martial arts at Hyper Japan page to accompany this page where where get more in depth in to Hiroki Ninja and the other arts on show at this years Hyper Japan. In between the main stage acts we wandered round catching what we could on the other stages as well as getting some game time in on the Nintendo stand between darting from area to the other trying to catch what was happening next. Also back from last year was Siro-A , with their psychedelic light and video show. , ,but we just wasn't in a great position to get the full effect ,but new they where around for the next two days ,so didn't worry to much, it's one of those shows where you have to be head on to get full effect..
Another feature of the show was a expansive display of Bonsai trees by the Bonsai Kai . I have always thought of the intricacy that goes into creating these little masterpieces quite amazing and was talking to one of the representatives about these amazing looking living trees. Now come on ,how can you not be impressed by by these? 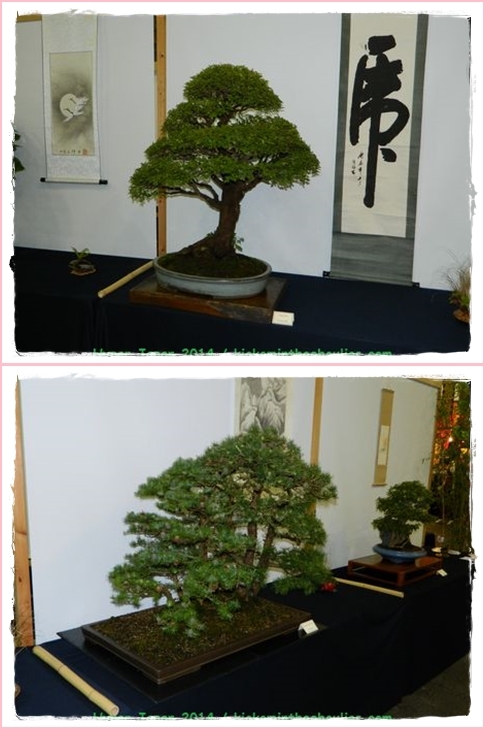 There's a whole community striving to keep the art of Bonsai alive in the UK ,they have various events they attend and like at Hyper Japan you could buy a starter tree from as little as £35 with prices creeping up as they got more mature. But of course it was the larger display trees that where getting the attention for their stunning shapes and size. The final stage act of Friday was a act we missed somehow last year and one we wanted to see, This time getting a main stage set J pop duo Yanakiku rounded off the early evening with some light hearted up beat Jpop which the two girls brought to life with vivid colour and zest . With songs in Japanese and English it was a fitting end to the day ..
Saturday saw a early start as we wanted to get to see a couple of the early stage acts , also I new that the cosplay crowd would be out in full force on Saturday as it was the first of the two cosparades of the weekend to. 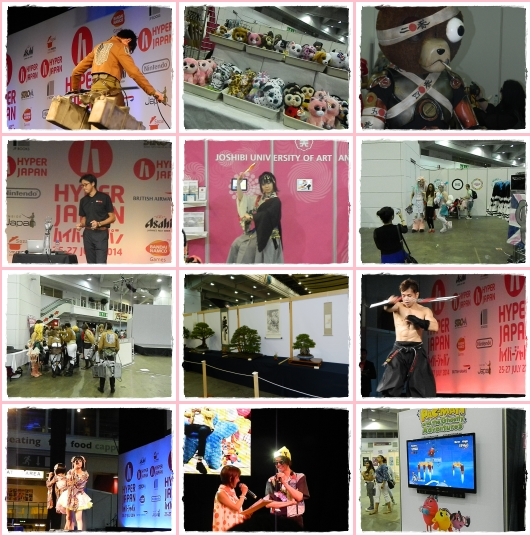 Also Saturday at Hyper Japan was split into two sessions with visitors able to buy a morning or afternoon session or a double session. .. The venue would close at 2.15pm and re-open at 3.15pm . 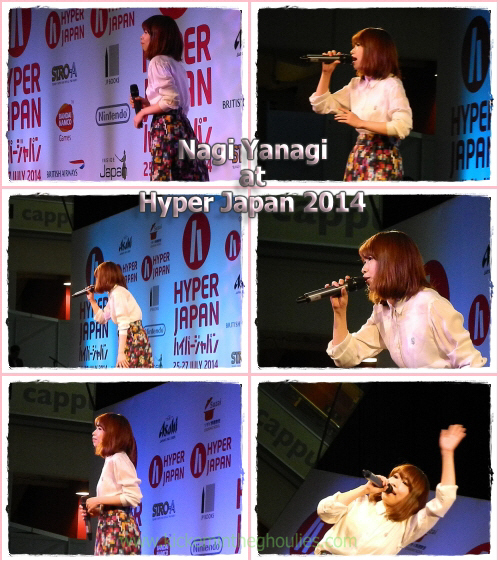 Our first Main stage act to view was female J pop solo artist Nagi Yanagi , this was another uplifting set of songs from a young girl with a amazing voice ,she really had the crowds attention and gave it her all .. The martial arts stage was also in full swing on Saturday with demonstrations of Shorinji Kenpo,Jiujitsu,Iaido and more, we got to view quite a few of the Martial arts on Saturday , a couple of the schools showcasing their arts also appeared at last years show ,so we new what to expect .. But there's a definite interest in the Martial arts area with crowds flocking to the area once a demo gets under-way. , also a couple of the schools had workshops for visitors to join in and get a taster of what the arts are all about. Hiroki the Ninja was also back for another stage event and workshop for the Saturday as well , You know some ones good at his skill when all the Martial artists from the various schools hang around and look on in awe of Hiroki's feats..
No doubt about it , the man is something else ,plus he has muscles on his muscles..
Then we spotted that on the main stage that the Minyo group from last year was on stage , they where really good the previous year and decided to catch some of their set. The fringe stage offered some impromptu karaoke sessions courtesy of Nintendo during the day , you got to have guts to just get on up there and sing ..
We also caught J rock group ''One Not'e doing a small set during the day ,they where also the closing act on the main stage for the Saturday . The afternoon was fast approaching and before you new it the morning session was over ..
First thing we wanted to catch in the second session ,was a go on Nintendo's Hyrule Warriors on Wii U ,after short wait and listening to some hopefuls on the Wii U Karaoke stand we finally got on to a machine, after Smash Brothers this was the busiest of the games on the Nintendo stand , not including the Mario Kart competition. The games not bad ,looks lovely and controls well with the Game pad , and I love the way Nintendo have all these staff on hand to help everyone with the game in hand. , you just don't get that with the other companies to the extent that Nintendo do. It's really only at something like EGX where that might happen. But at other events I find your left to figure it out ,and if you get stuck ,you get bored and go, not with Nintendo ,they guide you and set you on your way.. And I have found that at every event I have attended where Nintendo is. 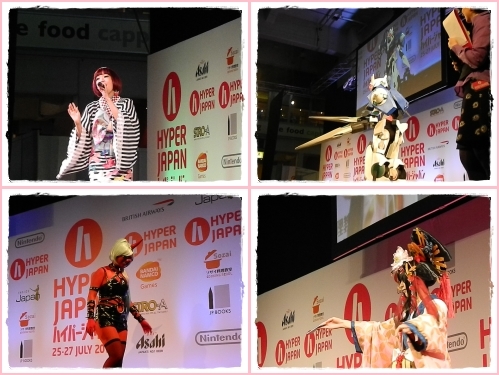 There will be a more in-depth look at the games we played at Hyper Japan in the sites news stream shortly. 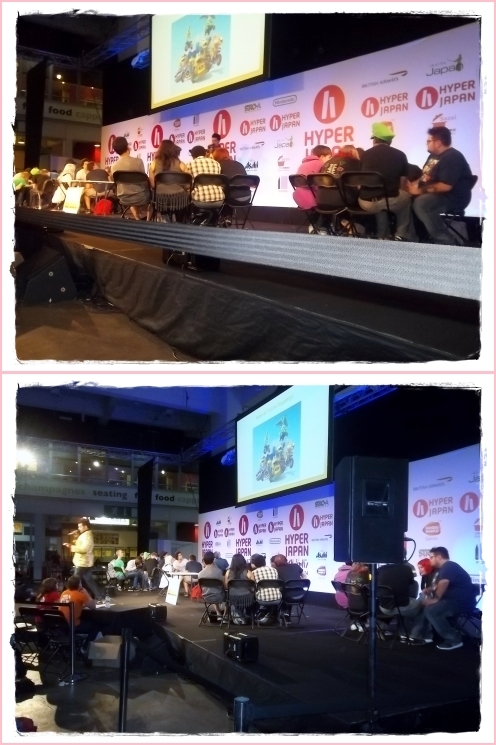 Nintendo was also hosting a a quiz with contestants being in teams of six , how these teams where picked I don't know ,i was a few minutes late getting to the Nintendo main stage event due to playing Hyrule Warriors on their stand. Hosted by a gentlemen in the brightest Gold Jacket who asked some tricky questions on various Nintendo Franchises. I must admit I like a good game on various formats and have many a Nintendo game in my collection but some of those questions where so vague ,how do people know the answers? .. The Guys and Gals on stage know more about Nintendo then Nintendo does! In between the various rounds the host would throw plushies, Bags and various Nintendo goodies supplied by the Nintendo store. Into the crowd., there where some very happy members of the audience to say the least. Next up was the Saturday Cosparade , I got in position by the stage ,the crowds where piled in and judges seated , there where some really good entrants to the cosparade as each entrant came on and struck their various poses for the cameras, it's funny really ,you can always spot the novice or first timers on stage , they seem to come on and are gone in seconds , making it tricky to get good shots of them ,whilst the old hands at it take their time and play to the cameras. No, that's not someone cosplaying Yun*Chi ,Yun*Chi opened the cosparade with her latest song. It did not seem a overly long cosparade , and feel that a few more entrants would have been nice , they definitely left the crowd wanting more. But this may have been down to the two tier structure of Saturday, there where more cosplayers in the afternoon session ,but I do wonder if any had left before hand and if many thought Sunday was the better option. As of course Sunday would play host to the ECG competition and another cosparade. After a fun cosparade we ventured to see what was happening on the Martial arts stage decided what we wanted to do , we had been there since the morning and figured out what we wanted to see and what we could leave till the final day. Having already seen One Not'e perform a small set on the fringe stage ,we decided to for go the final main stage event of them doing a set. It was probably not a bad call to miss the rush exodus and as it happens ,One Not'e appeared on again on Sunday on the Fringe stage and we caught them there as well. By the time we ventured round it was getting on and we still didn't get out till gone 6.30 anyway. The next day it was all starting to catch up with us , I figured I could have run a marathon in the amount of walking we had done. We aimed for the afternoon the next day, we caught Siro-A and actually got in a position directly in front of the stage , though a little at the back. But it gave a better insight into the effect of the show. 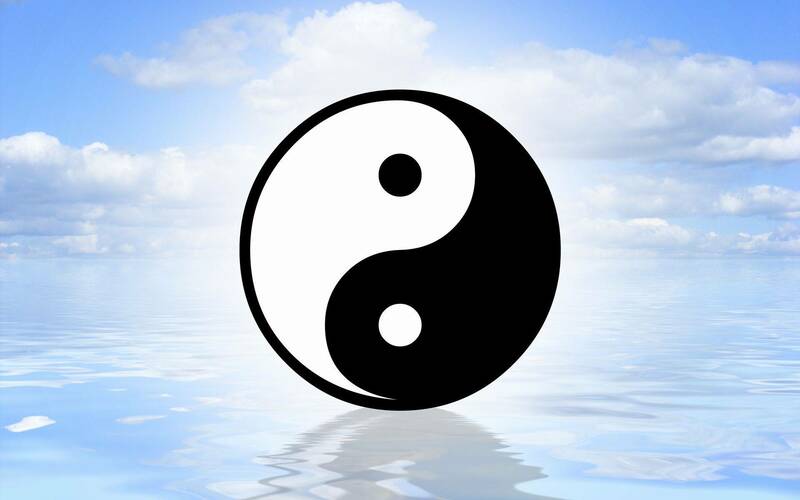 ..
Of course we where gearing up to see the cosplay ,but had some time before that ,so we ventured to the martial arts stage and had just missed a demo by a Jiujitsu team from Ishin Ryu , terrible when things clash , just can not be in two places at the same time though. 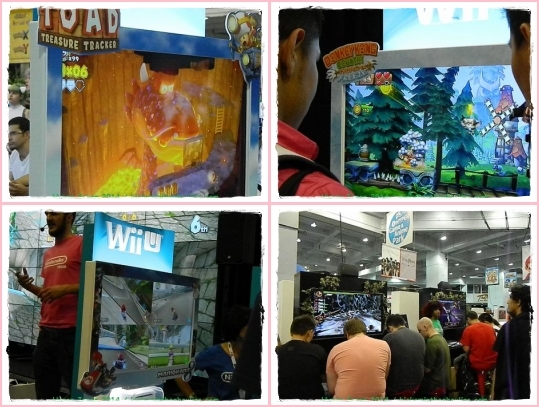 Then we still needed to play a couple of games on the Nintendo stand , mainly hand held games , with not to long a wait we had a session on the 3DS version of the forthcoming Sonic Boom , must say it's a very classic Sonic style game and plays different to the Wii U version we had played on the Friday. By now it was time for the cosplay show, With solo and pair entries for the ECG competition and the Sunday cosparade to get under way we headed to get in position. After a introduction and our hosts introducing the judges for the ECG and cosparade ,the ECG competition got under way, each of the entrants had a well thought out scenario to act out ranging from around one to three minutes each. Also many had props ,some quite large which did at times slow the proceedings down slightly . The Judges arrive and show how it's done , no pressure then! 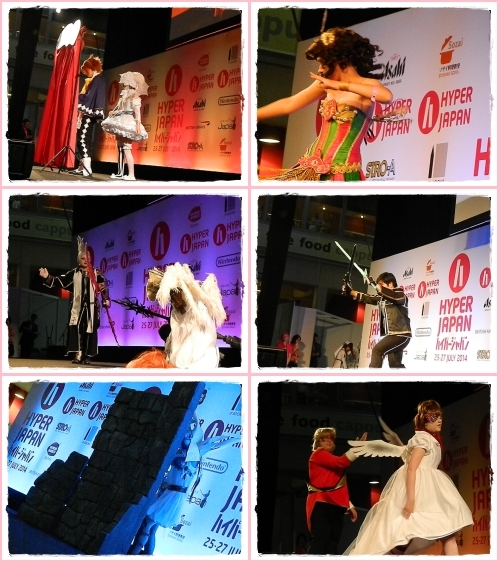 But there where some great entrants, all in some amazing looking costumes and each performing their hearts out. From dance ,ballet,combat and more comical entries each contestant seemed to push the envelope compared to the previous one ..
With a change of judges and the cosparade got under way ,but maybe not as planned, with quite few cosparade entrants to appear and time getting thin till the next act was due on, the cosparade was a little rushed , with entrants announced quickly and them having around fifteen seconds on stage if that. Some of the cosparade entrants prolonged their walk on , deciding to play to the cameras more. .. I suppose the time allotted for the combined ECG and cosparade was really not enough with all the props ,judge changes and all, I feel they should allow a couple hours for this combined event ,that way everyone gets to give it large on stage without being rushed. 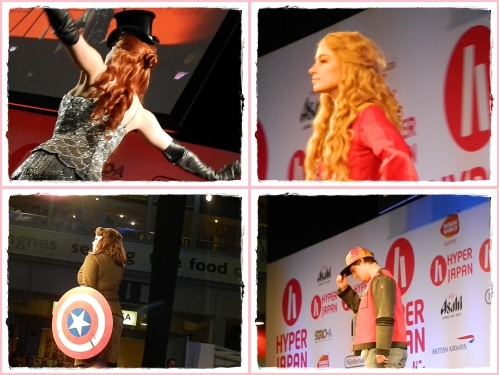 We ventured back to the main stage when the awards where being announced, in the meantime we got some shots of the cosplayers that where hanging around and also caught up with the the London Okinawa Sanshinkai dance and music troupe. They where performing on the martial arts stage and performed some really lively traditional dance numbers with drums and other musical accompaniment .. The crowds where gathering thick and fast to the sound of the beating drums and catchy beats. The final act we saw on the main stage was The Sake by Den entertainment. 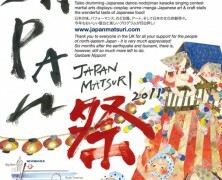 ,a mixture of Japanese culture surrounding the history of SAKE , from dance ,music, martial arts and even comedy . What is The Sake ? 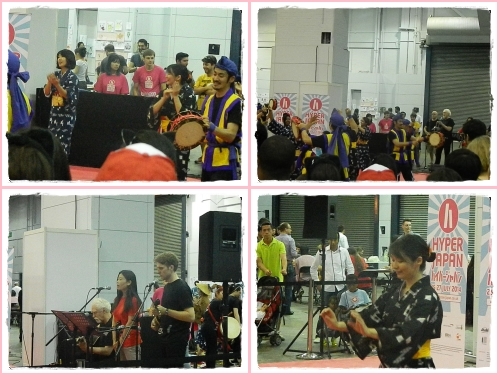 Well it's a act that's hard to pin down, but the sample we had of it at Hyper Japan was very entertaining , from dancing Geisha's ,slicing of bananas with swords ,comical stories and music. For us it was a fitting end to this years Hyper Japan,,, the venue was actually starting wind down , and the stall holders trying to grab that last sale in the final hour ..
Once again Hyper Japan have put on a varied range of entertainment from all spheres of Japanese life and culture. In fact it was impossible to catch everything ,even in three days, but I think we got to experience a broad range , yes there where some acts we would have liked to have seen on the smaller stages , but all in all I think we had the Japan experience ..
Hyper Japan is back in November for the Hyper Japan Christmas Market, we look forward to attending to see what else the Hyper Japan team can throw at us. 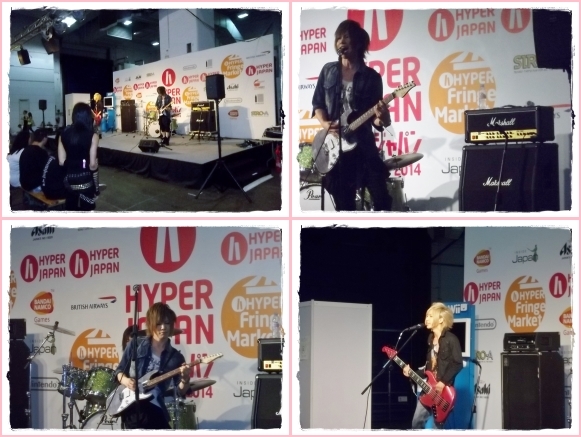 We thank Hyper Japan and Spreckley Partners for the press passes for the show and hope to see them again in November 2014 at Olympia. We still have a dedicated Martial arts at Hyper Japan feature to come in a few days and a our sister site will feature a Hyper Japan 2014 Cosplay special ,where there get more in-depth about the cosplay side of things and of course showcase more photos . But till next time . Be Safe' Train Hard' and above all have Fun. 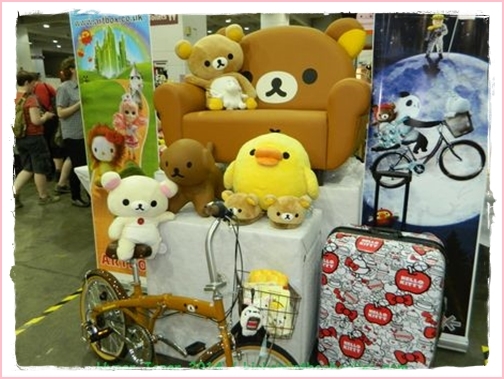 With so much happening at Hyper Japan 2014, this one feature is just not enough to showcase the event. Further features include a dedicated Hyper Japan 2014 Martial arts feature and our sister site will be focusing on the Cosplay side of things in a in-depth feature on the cosplay happenings at Hyper Japan 2014 in A Hyper Japan cosplay Special.